It's time for another ABC Challenge. And our theme is called Z is for Zany (we want to see lots of fun images & creations). I really love pearls so I decided to decorate a whole frame with them :) Added some flowers and traditional Christmas colours. 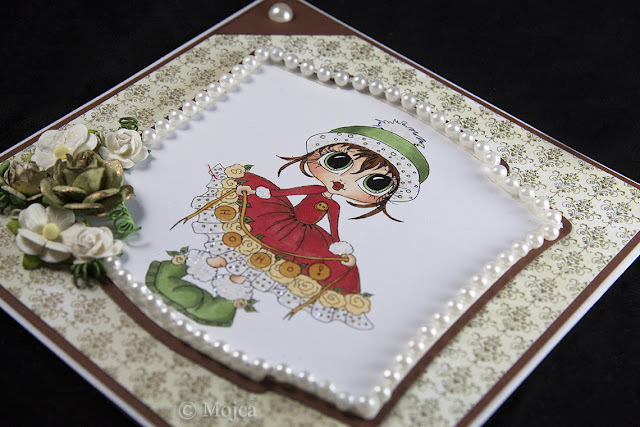 This is gorgeous Mojca, such a sweet image and beautiful detailing. Več kot zadostila si izzivu. Perlast okvirček se prav lepo poda čudovito pobarvanemu motivu. In kako lepo si nanizala perlice okoli okvirčka! Čudovita je. 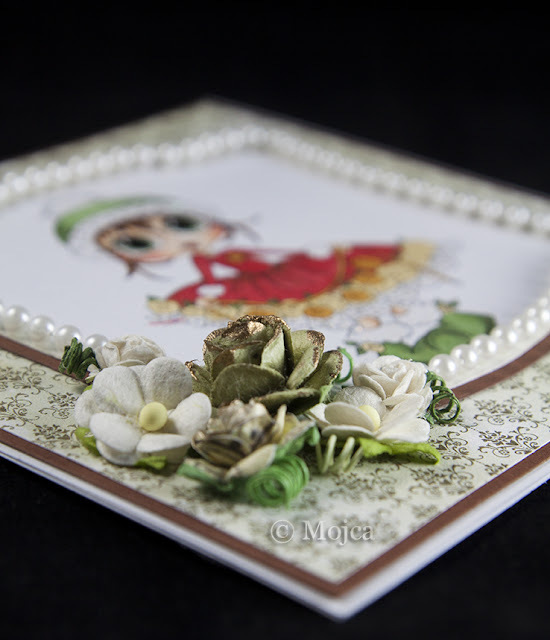 Mojca, this is such a beautiful card and I love the way you've framed her with the little pearls.